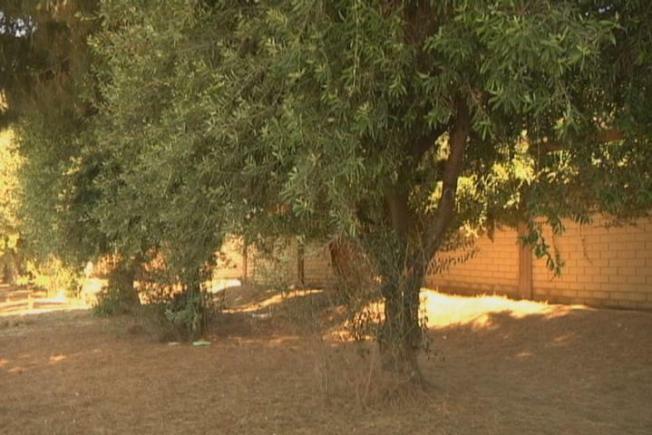 City workers in a South San Jose neighborhood began removing olive trees along a main thoroughfare Tuesday, and some area residents are incensed -- and a little sad. About 100 people in the Silver Leaf neighborhood have signed a petition to keep the trees that have been there for about 30 years. The city says no can do and cut down dozens of trees Tuesday along Monterey Road, between Tennant Avenue and Flintwell Way, near Highway 85. Some of those who don't like seeing trees removed understand why they have to go. They say the fruit droppings can get sticky on your shoes and it can be a liability for cyclists, who are reportedly veering into the street to avoid the olive strewn bike lane. Neighbors tell us the olives have caused them to slip and nearly fall. Olive tree lovers say it didn't have to be this way if the trees had not been neglected for over a decade. Upkeep on the trees, according to the city arborist, is expensive, never-ending and the city just can't afford it. It is spending $70,000 to remove the trees and replace them with cleaner, taller evergreen trees. The arborist has said the city would preserve the trees if it could. The city has offered an olive branch, agreeing to spare an additional 150 trees closer to the Caltrain station. The tree cutters are expected to continue their work Wednesday.